← A Week As A Vegetarian? Let’s talk about all the awesomeness that went into this labor day weekend. And, oh my, it was amazing. 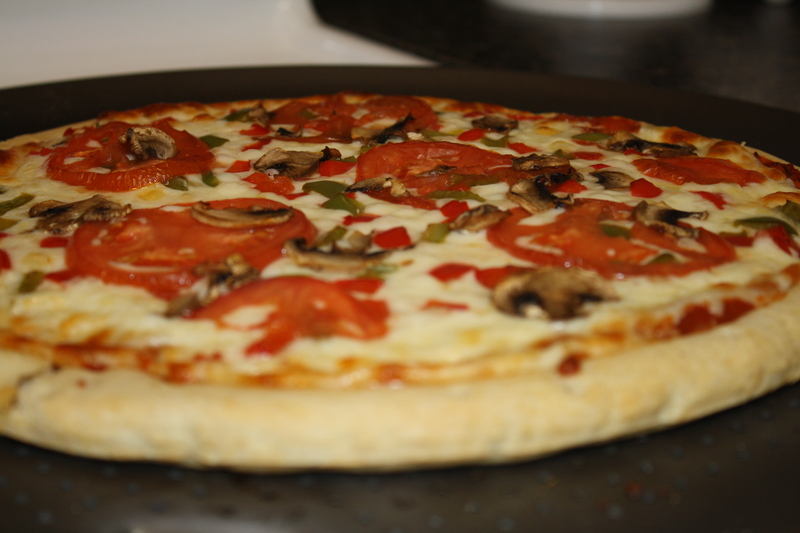 My homemade pizza tasted fantastic! I started out the weekend by cooking a pizza. I already made the sauce and had stored it in the refrigerator. All I had to do was chop up some tomato, mushrooms, and green and red bell peppers, and shred some mozzarella cheese. Since the crust was store-bought, I simply followed the baking directions on the packaging. My mom absolutely loved it. And I can’t lie–I though it was pretty amazing too. Saturday's lunch was at P.F. 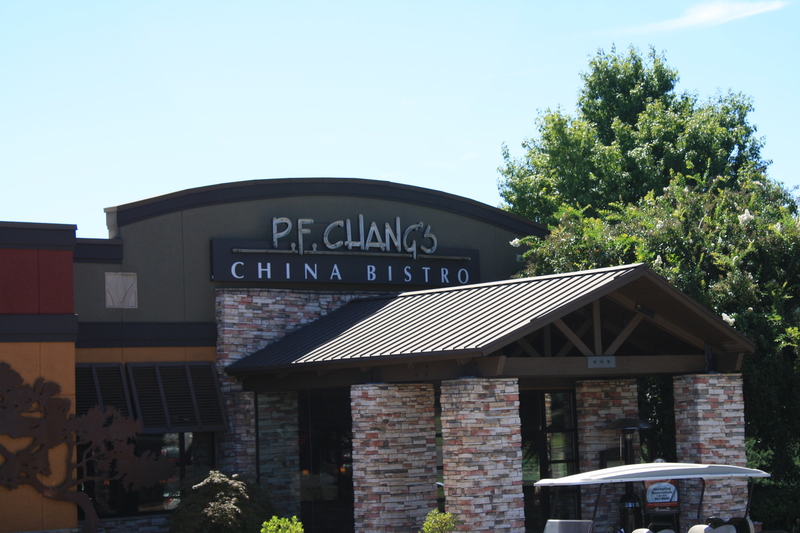 Chang's. Saturday my mom and I went out for a day of shopping. Our first task: eat at P.F. Chang’s. Neither of us had ever been to P.F. Chang’s, so I was super excited. My roommate talks a lot about how awesome it is, so I’ve wanted to try it for awhile. I was so glad I did. We started with some egg rolls. 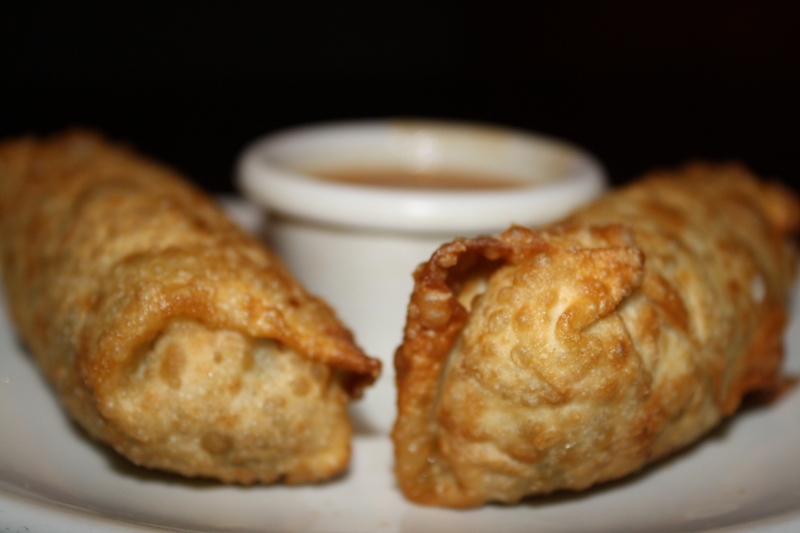 We started the meal by sharing a couple egg rolls and Auntie Chang’s Frappe, both of which were really good. The frappe had a mixture of several kinds of fruits; I remember biting into a banana slice at one point. It was topped with whipped cream. Yum! 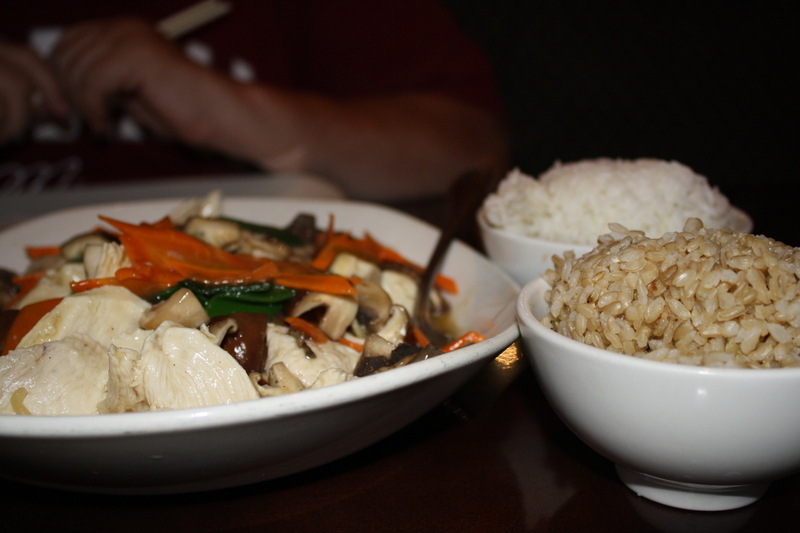 The Canton Chicken & Mushroom, and brown and white rice were good. For the actual meal, my mom and I split the Canton Chicken and Mushrooms, which came with a side of brown rice and a side of white rice. We had actually contemplated ordering from the “P.F. Chang’s For Two” menu, but I’m glad we didn’t. The meal we ordered was more than enough for the two of us! This cheesecake was tart and sweet and amazing! After walking around an shopping for awhile, we decided to stop by The Cheesecake Factory. 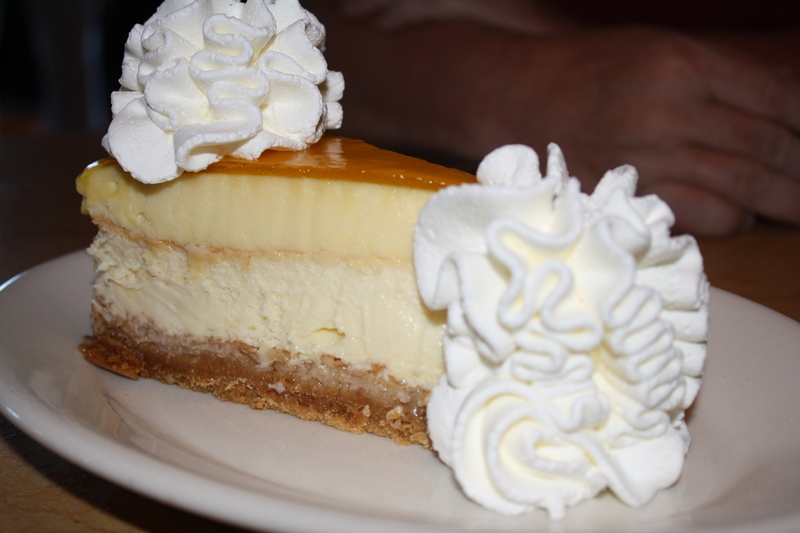 We split a Mango Key Lime Coconut cheesecake. I couldn’t find it on the menu; one of the waitresses suggested it to us. It was one of the best cheesecakes I have ever tasted–no lie. This was our first trip to The Cheesecake Factory too. It was definitely worth it. I’ll be honest–my camera sat in my apartment all day Saturday, so I have no good pictures to show for most of what I ate. Luckily, I had it ready to take pictures of dessert! For Sunday’s lunch, I met up with two of my close friends (they’re sisters) and their parents, as well as a large group of our friends. We ate at Olive Garden and called it “family lunch.” One of the guys eating with us said he had never been to Olive Garden. At first I didn’t believe him, but the way he ate the food proved me wrong. It was so fun, and because it was Olive Garden, it was very good. (Let’s be honest–I’ve never had anything from Olive Garden I didn’t like). I ordered soup, salad and breadsticks and tried the Minestrone. It was good, but I had already filled up on salad, breadsticks and raspberry tea by the time I started eating the soup. For dinner my mom, my sister, and I ate at Panera Bread (if you haven’t noticed, I pretty much love Panera). I had a Turkey Artichoke panini, my mom had a Napa Almond Chicken Salad sandwich, and my sister had a Bacon Turkey Bravo sandwich. I usually order the Napa Almond Chicken Salad sandwich–which is why I so easily suggested it to my mom–but I was feeling a little adventurous. I loved the Turkey Artichoke panini, though I will say that it is not so great as leftovers. Definitely eat this one all at once. Regardless, I really liked it and plan to order it again sometime. But I think I’m going to take a break from Panera for at least a few weeks so I don’t overdo it. This was extra-yum because I hadn't made it in months! 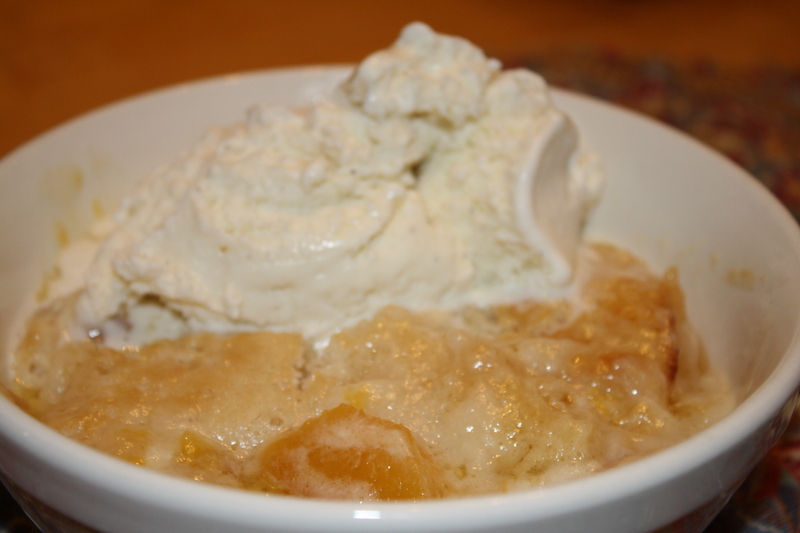 For dessert, I made peach cobbler. I got the recipe from my granny years ago, and I still love making it. She calls it a “dump pie” because she dumps all the ingredients into the middle of the pan. And, let me tell you, it is amazing. My rommie was really excited. She said she’s wanted me to make peach cobbler for awhile. Honestly, I made it for her. She’s been there for me through some rough times these past couple of weeks, and I really wanted to show her how much I appreciate her. Food is one of the best ways I know how. I actually woke up to cook. Incredible, I know. This morning, my mom had to pack up to go back home. You see, there’s this pesky little thing she needed to do. She called it “work,” I think. Anyway, while she packed/relaxed I cooked the hot breakfast I promised her. 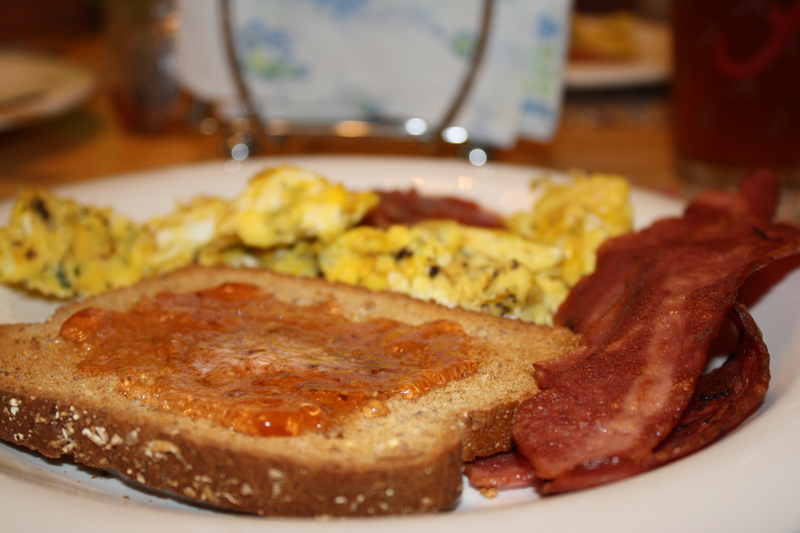 I made cheesy eggs, bacon, and toast. I’m not used to eating first thing in the morning, so I wasn’t very hungry and didn’t eat much. But my family and roommate seemed to enjoy what I cooked. This was my favorite part of lunch. On her way out of town, my mom went to lunch at Applebee’s with my sister, my roommate, and me. We split into pairs and order from the “2 for$20” menu. My roommate and I ordered Spinach and Artichoke Dip for our appetizer. My entree was the new Florentine Ravioli with Chicken. My roommate ordered the new Provolone-Stuffed Meatballs with Fettuccine. 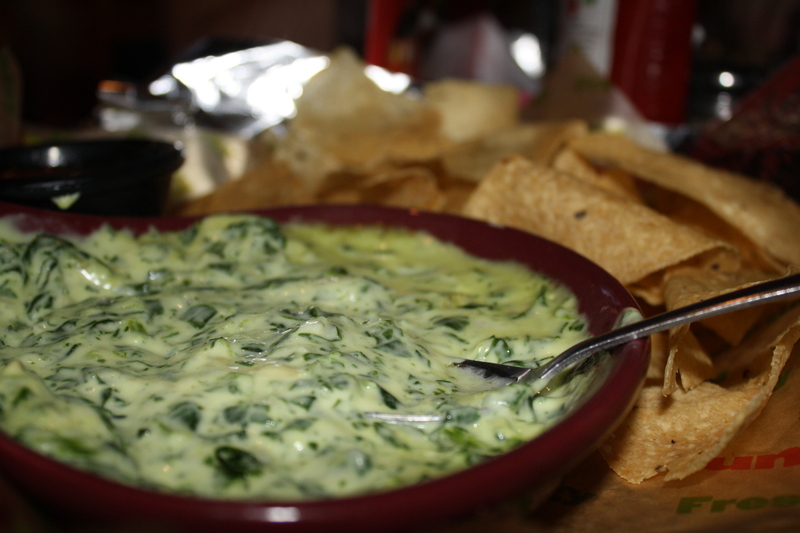 The Spinach and Atrichoke Dip was so indulgent–definitely my favorite. The ravioli was decent. I probably wont get it again, but it wasn’t gross either. It just wasn’t what I really wanted. 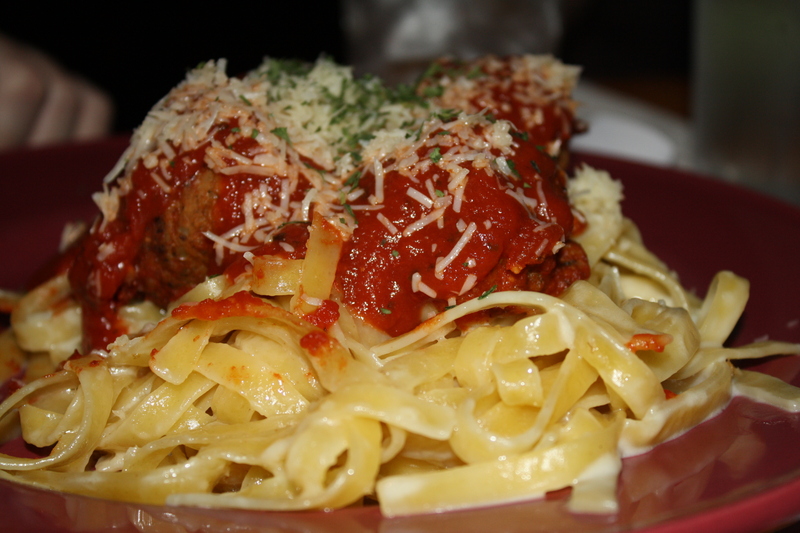 My roommie ordered the Provolone-Stuffed Meatballs with Fettuccine. So that was my food-filled weekend. Did anyone else have anything delicious this Labor Day weekend? This entry was posted in Uncategorized and tagged applebees, asian, cheesecake factory, cooking, dessert, dinner, dip, eggroll, food, fun, labor day, mozzarella, p.f. chang's, panera bread, peach cobbler, rice, spinach, tomato. Bookmark the permalink.